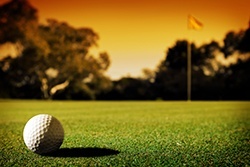 Tee off with us as we take you through nine holes of the mortgage process, and find out if your mortgage business is up to par. We’ve been writing a lot about the mortgage process. We’ve talked about having a strong online presence with rate quoting and mortgage websites. We’ve extensively covered the usefulness of our integrations and APIs in getting the tools and processes you need to better your business. But one thing has been woven into the fabric of all of those things; it’s pivotal to everything that we do, and it should be for you, too. It’s our pricing data. Mortech’s mortgage pricing engine is built into every step of the mortgage process, and plays a vital role in keeping everything from lead capturing, to LOS and POS systems, to mortgage hedging running smoothly. While it would traditionally be difficult to have the same consistent pricing data through every aspect of your process, using Mortech’s mortgage pricing engine makes it easier than ever, because it’s already done for you. You don’t have to manually access and upload or transfer your pricing into a system. You don’t have to wait for everything to get updated and line up. With Mortech, you can count on your pricing data being updated instantly, without any hassle on your end. Mortech not only makes your rate data available at the click of a button, but always ensures that it’s accurate and compliant, so that you never have to worry about putting anything online that isn’t 100% right. We believe being right shouldn’t have to be sacrificed for being fast, so we are always working to deliver on both in equal measure. Today’s mortgage world is changing. Borrowers want more, expect more, and are willing to go to whomever is giving more to them. And just as they want a good experience, so do lenders who are looking to connect with them and make loans happen. In today’s mortgage world you need a fast, accurate, and robust solution for your mortgage processes. You deserve one, too. With Mortech, you can cover the mortgage process from start to finish, and all along the way, you’ll have pricing data built in for a consistent, positive experience. Want to find out more? Reach out to us – let us show you all the ways in which Mortech can improve your business. Want to meet us in person? We’ll be attending MBA Annual in Denver and we’d love to see you at the show. Find us at booth #1103 and ask us all about our mortgage pricing engine. You owe it to yourself to have the best, most accurate and consistent mortgage pricing engine experience you can get. Let Mortech provide it for you.